Go to What will the furniture of the future be like? In today’s world, offices are no longer designed based on the number of chairs and tables that are needed according to the number of employees. New tendencies, different generations, the use of new technologies and trends in leading countries turn the workspace into a living and flexible place, with unassigned spaces and a design whose sole purpose is to promote employee wellbeing and productivity. Muriel Altunaga is one of the most interesting people in Spain when it comes to designing spaces and managing interior architecture in the labour world. In her position at the consulting firm CBRE, she develops interior design projects for big companies, managing the opening of new headquarters or making changes to existing ones with large workforces. 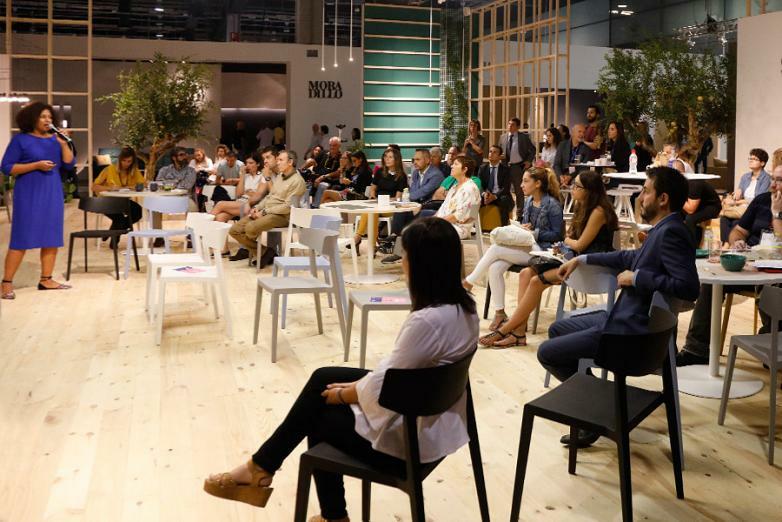 Based off her extensive experience, Altunaga gave a lecture at the Actiu Meeting Point during the Feria Hábitat Valencia on new trends in offices, the role of facility management as a tool for change and how furniture companies and opinion leaders can create spaces that are capable of improving the physical working conditions of many people. “From the recognition of hierarchies we have moved to horizontal offices where companies sell their workspaces as a differentiating element, capable of capturing, attracting and retaining talent”. This was how she opened her conference, where she then began to gradually reveal the new challenges faced by the sector. “In today’s offices, up to five generations can coexist in the same space. Both physical and virtual collaboration between people is highly valued. Teams must work face to face but not always in an office. The line between personal and professional life is blurred and our tasks are not always the same, nor do we always have to carry them out in the same place. Faced with all of these challenges, space plays an important role and provides an answer to not just one but several different jobs”, explains Muriel. “Companies sell their work spaces as a differentiating element that is capable of capturing, attracting and retaining talent”. 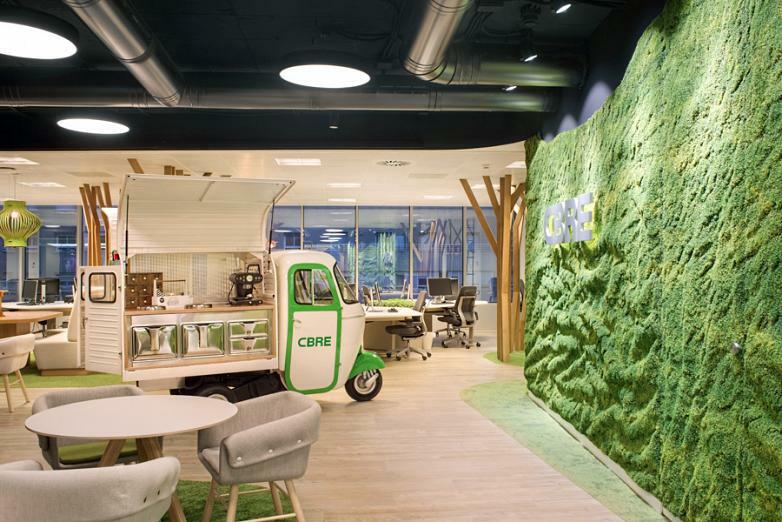 In addition, many other trends are beginning to make their way into the office: the intrusion of nature, for example, through plants or vertical gardens; connected furniture, which are able to keep us in direct communication with another part of the world; or not only furniture as the differentiating factor, but also the ability to modify the environment and adapt it to the sensory needs of each person at different times. “In short, faced with a society that often values intellectual work over executive work, we need to motivate creativity and innovation. And in that sense, furniture has a lot to contribute,” explained Muriel. In the architect’s most recent projects, the change in layout and philosophy has been drastic. “The space is the same but its use is different. We don’t need the office to have more square meters, we need to manage them better. Unassigned positions, the generation of new spaces, flexibility of movement for the worker, and with the help of new technologies, we can multiply the spaces and create offices that are tailored to meet the needs of each company”, the architect explained. 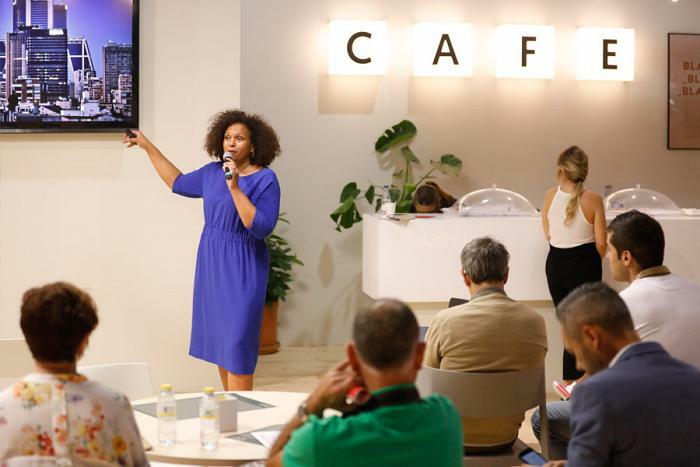 This is so relevant that, as she said during her conference, many companies are beginning to value combining traditional office spaces with coworking areas. This way they can attract talent, generate new collaborations and sublet the square meters that they’re not using. “We don’t need the offices to have more square meters, we need to manage them better”. 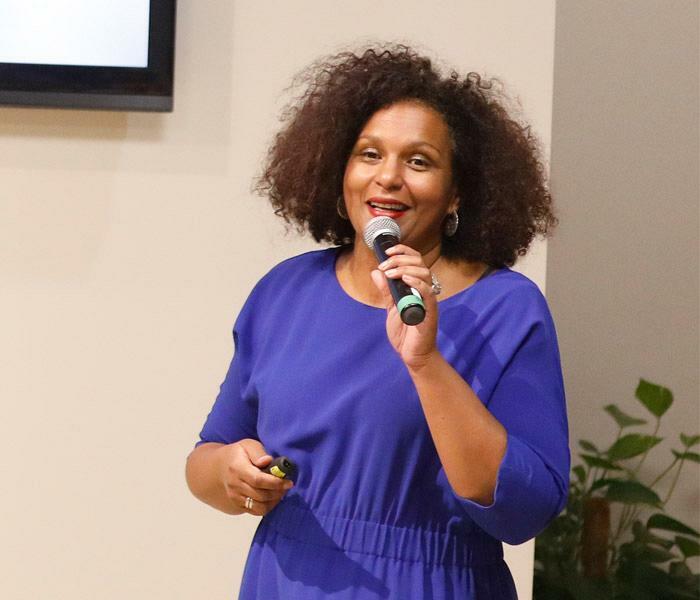 “The biggest challenge faced by companies is knowing how to promote this change in offices and doing so in the best possible way that is fully tailored to meet the needs of each company”, she concluded. At this point, Muriel emphasized facility management as an essential figure in making these changes and as a person who is capable of understanding and attending to the new needs of companies.